NatureStop: Leopards at Bera, Rajasthan, India. Leopards at Bera, Rajasthan, India. Sorry for the long absence from bloggerland as too many things have happened in the past year and half but hopefully we will be more regular now. We have since relocated to Dubai(UAE) few months back. 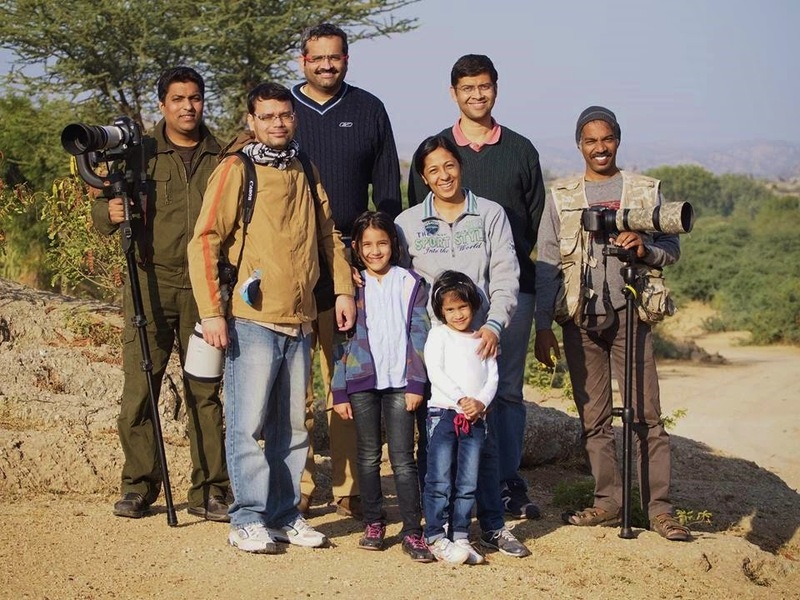 Desperate for a break, we managed to team up with Dr. Caesar Sengupta's Photography (DCP) team, a bunch of wildlife photograpers for a Leapord Bera Expedition in India. It turned out to be an awesome experience!! Bera is a small village situated in the Aravali region of Rajasthan in India. Here leopards (Panthera pardus) roam freely. Jawai Dam located close by, is one of the largest man made dams of Western Rajasthan, built by the Maharaja Umaid Singh of Jodhpur. It is also a Marsh Crocodile Sanctuary. In spite of the hostile terrain and extreme climates, Bera is an abode for various ungulates, including the “Neel Gai” or Blue Bull. After a change of flight and a drive of few hours we reached Leopard Liar Resort, Bera. The leopards disappear into the dark and we all set off back to the resort. After a lovely dinner under the open sky and twinkling stars we retire for the night exhausted but still talking of the leopards. War zone- when the Leopard acts too pricey and does not show up. The camera bodies get separated from the tele and get attached to wide angles to reflect the shooters' plight. A camel herd passing by gives some respite to the thirsty photographers. We get back to the resort and have our dinner enjoying the chilly night and put the kids to bed early, as we all wanted to make it for the last morning safari. We are all ready by 5:30 a.m and set out for the safari but we were not lucky and did not sight any leopards...just a few morning shots and a few birds we will share later. Since no leopards were sighted we finally decide to pose for a team pic.We returned back to the resort a little disappointed but happy to have spent sometime amidst nature and after breakfast we bid adieu to our friends.A lifetime experience and a satisfying one too. Absolutely stunning, the Leopards and Camels, brilliant photos. Thank you Wilma, really feels good to be back. How have you been? Wow - fabulous shots of the leopards! And that sun - glorious too! Wow! How magnificent! Wonderful photos...thanks for sharing. Wow amazing shots of the leopards and the camels! Great post and photos! Just found you and I'm going to follow you. I just love all your photos! Wow! What an amazing experience and you have taken some great shots as well. I really enjoyed traveling with you… the leopards are such beautiful animals! What a truly amazing experience. I can only imagine what it must be like to experience these magnificent creatures in such close proximity. David indeed a lifetime experience. Hello from England. I really enjoyed your leopard safari and could feel the excitement you felt on seeing and photographing such wonderful animals. A number of years ago I saw a couple in Africa and they are truly beautiful. Your photos are phenomenal, what a wonderful experience! Happy shooting! Cheers from Canada... frigid Alberta! Wonderful photography ~ what a gift to see and to be able to photograph these beauties of nature. Your photography is incredible and how exciting to see the leopards. Beautiful animals and wonderful to see them in their natural world. Wow … what an awesome adventure you all had! I love the leopards and the huge telescopic lens! welcome back to blogging! what a wonderful excursion and wildlife adventure for you! Wonderful experience and awesome creatures! Super images of these beautiful but shy creatures. A truly memorable experience. Thanks for your visits and comments on my recent blog posts. Such beautiful images, Shantana. I'd love to see Leopards in the wild like that. The pictures are stunning,but equally interesting is your commentary. I could feel the excitement of seeing the Leopards.I will be following your blog,so I can stay up to date with your adventures. Fantastic shots of the animals, scenes and people too. How amazing, I love your pictures! How awesome you were able to see the leopards and capture some gorgeous images. Fantastic captures of leopard in the wild. What a wonderful place and wonderful animals - I have my eye on a trip to that part of the world - all I need now is for work to send me there! Thanks for your comment.. Beautiful place and great pictures.. Regards from Spain.. The Leopards are fantastic, and the rock formations remind me of the animal exhibits in some zoos. I am just imagining the Leopards in their dens, "Shall we go out now and look at the tasty photographers? How many do you think there will be today?" The Indian countryside is amazing, so many mountains and so green. It must have been quite an experience to go there. How exciting to see the leopards!! Good to see you back; and some excellent pictures too. Must have been a great experience to see those beautiful leopards. Beautiful leopards........love the sunset and photos! These are some wonderful photos! What lovely animals. I really enjoyed all the photos here. You are a wonderful photographer. I like the leopards and the people photos too. Thanks so much for visiting my blog after my long absence with leukemia. Lovely captures! Must have been exhilarating to sight leopards in the wild! Wow! The leopards didn't disappoint you. Great captures. This is a wonderful blog post, wonderful photos and wonderful animals and so interesting too. Thank you for sharing. Enjoyed the cyber tour of leopards. You are brave to see these in the wild and not at the zoo. Impressive photographs! Oh, those leopards are gorgeous! So interesting. Beautiful photography, too. Wow! I am in awe of your wonderful photos of the leopards. What an experience that had to have been. I truly enjoyed your post. - Am now following your blog. wow what an amazing experience. We saw a young leopard in a tree in Africa on the last day of our trip a few years back. It topped off a wonderful trip. 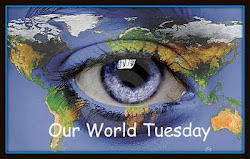 Happy travels and thank you for stopping by my blog this week. It was nice to meet you. What fun trip! Stunning pictures. Thanks for sharing. Brilliant shot of the Leopards! Great set of images. I almost forgot about the skywatch image because of the photos of the big cats. They are beautiful. Awesome shots of the leopards and camels--and good to see a group picture too! What an amazing experience - that's something I'd love to do. Great shots of the leopards. Magnificent leopards! I also love the photo of the man with the red turban. It must have been very exciting waiting for the leopards and so rewarding when they showed. Lovely images. sky is great but the leopards are stunning images. What an outstanding experience! Your kids are very lucky to be able to have this experience while they are young. My husband's dream is to be able to go on a safari trip. Amazing all these shots!! That must be a wonderful trip. A dream of me. It's enjoyment to see these shots! !